Gertrude and Heathcliff watercolor depicts my go to place down the shore. In this painting, I wanted to push the variety of color found in the water. 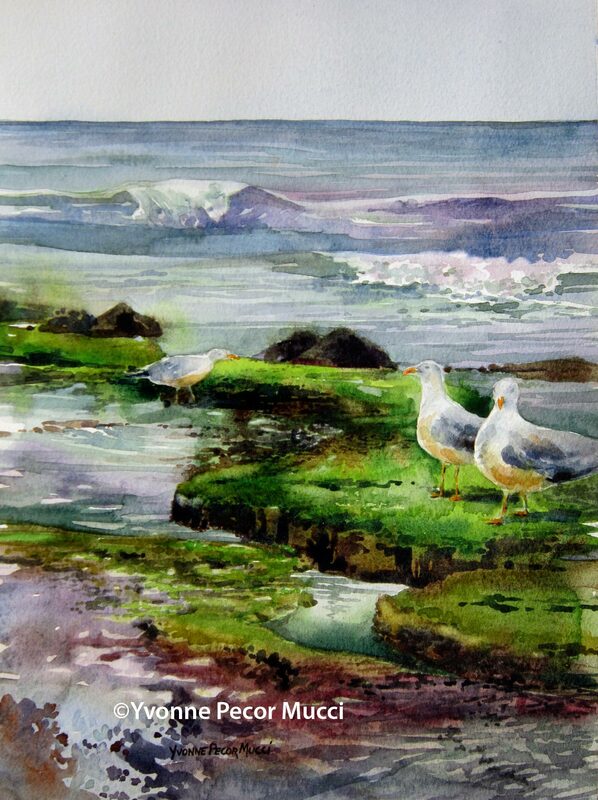 When I look at this watercolor it makes me chuckle a little imagining those birds carrying on a conversation. The name is a nod to the past when comedian Red Skelton performed skits about two seagulls named Gertrude and Heathcliff. This painting is available and can be shipped. 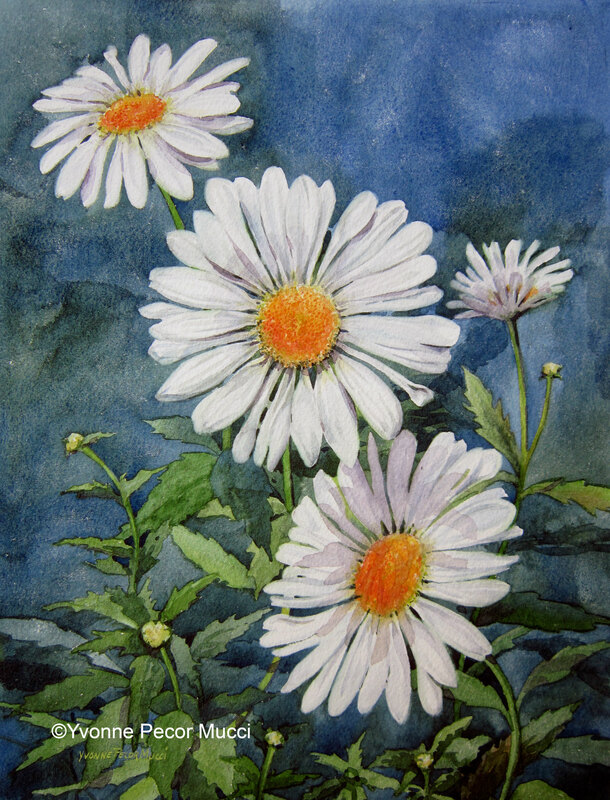 I think everyone is waiting for spring these days, that’s what inspired the title of this watercolor. 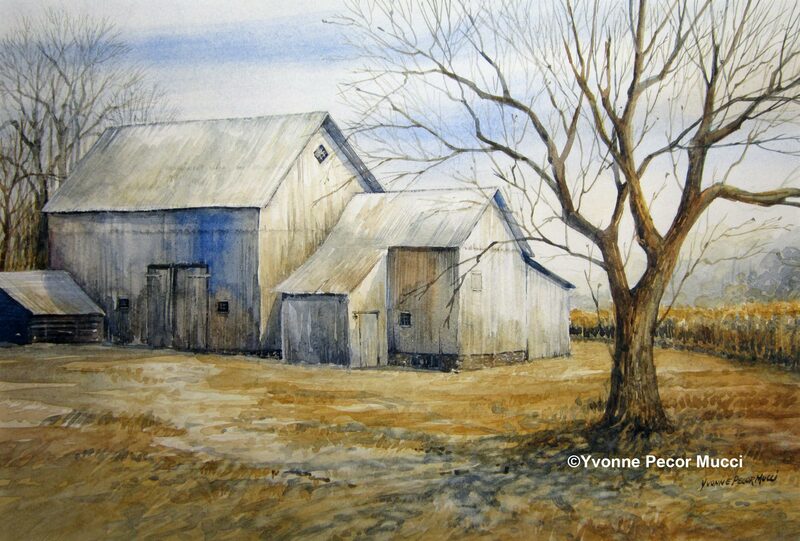 This beautiful farm from Salem County, NJ was painted using a limited palette of Ultramarine Blue, Yellow Ochre and Burnt Umber. The images below show how the painting was blocked in. I wanted to use as few brushstrokes as possible to tell the story. 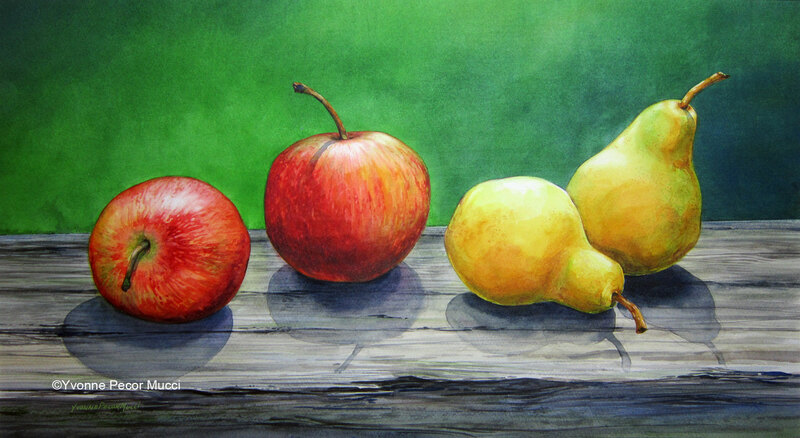 In this watercolor painting “Apples and Pears” I wanted to paint a simple subject and play up the sunlight and cast shadows. 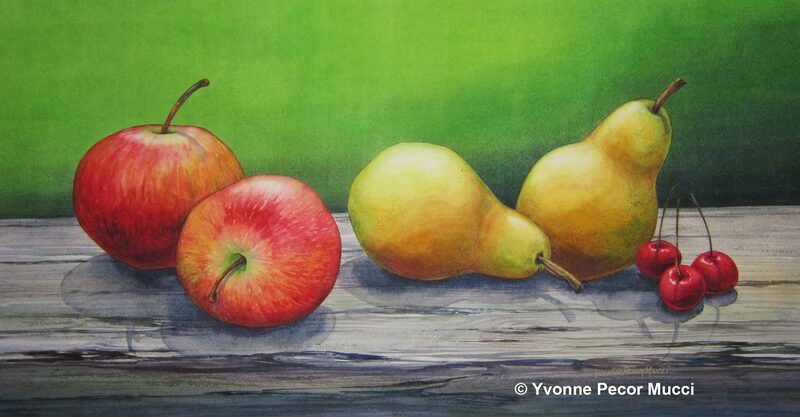 I haven’t painted fruit since my school days and was surprised at the difficulty. Liquid mask was used on the stems to allow me to paint through the background. 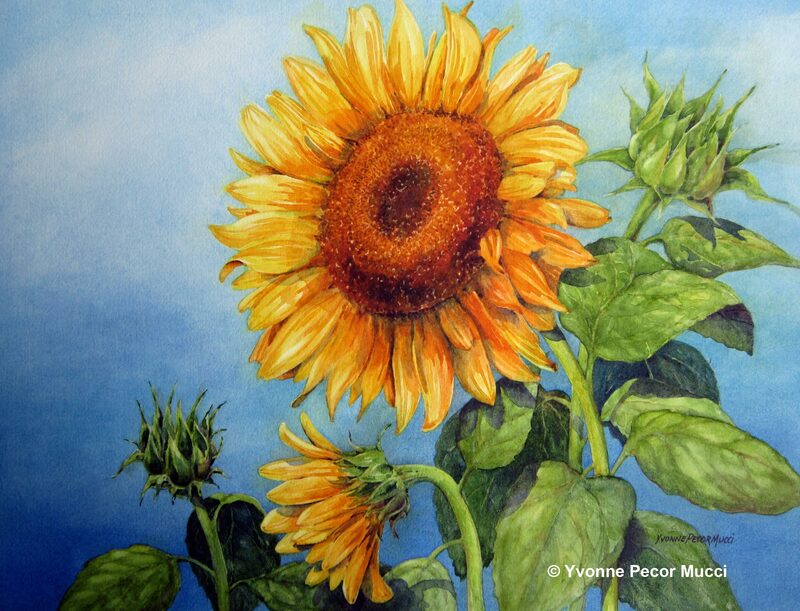 The second painting is a version of the same subject which was a demo for my watercolor workshop. The change in composition was a bit of an improvement. Click on the painting for an enlarged view. 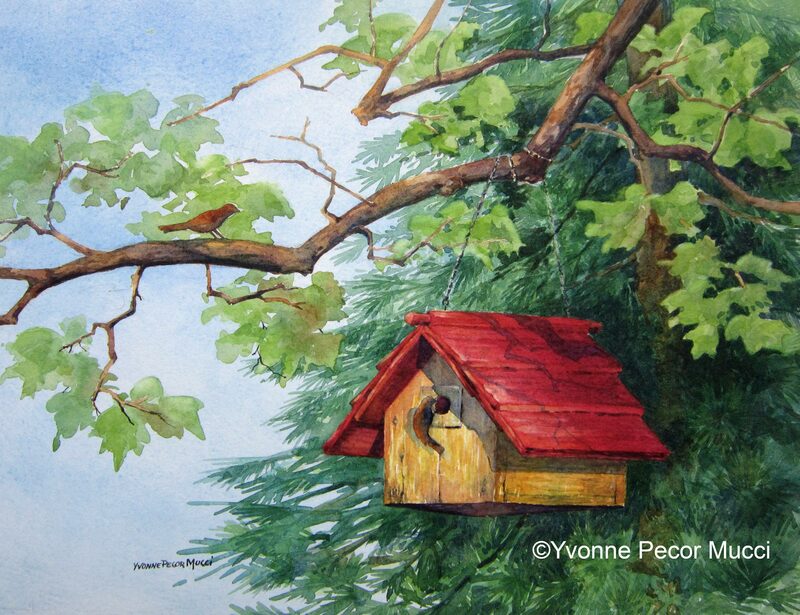 This little wren house is a larger version of a previous watercolor. I used this as a demo for a watercolor workshop. It is always helpful to see how another artists develops a painting from start to finish when you’re taking a class. Each week I would demonstrate different techniques. It was a lot of fun! Click on the image for a more detailed view. 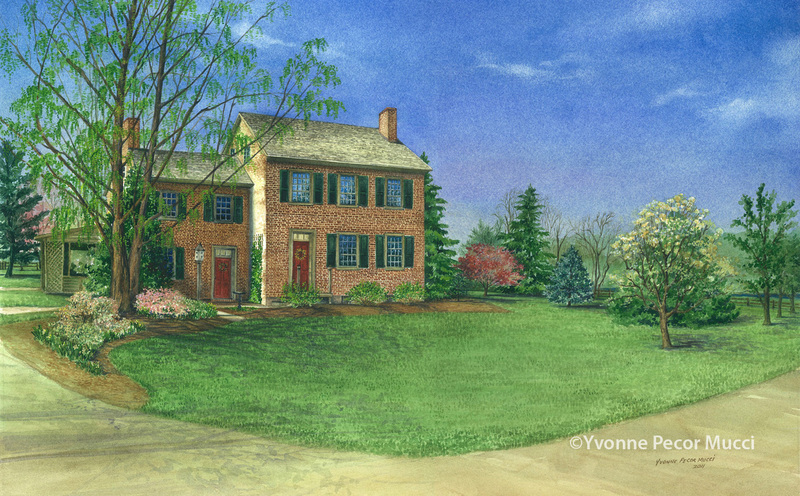 Shown above is a portrait of a 1750s home in southern New Jersey. It was commissioned by a friend to give as a gift to his next door neighbor. The challenge of this painting was the size of the property and the detail in the historic building. Luckily he asked me about it in early spring. There’s a very mature, desiduous, Bald Cypress tree which blocks out most of the building during the summer. If he would have called me just a few weeks later I would have had to postpone the painting until the fall when the Cypress had lost its foliage. I immediately drove over and took a series of photos which were combined into the view shown. I opened up the Cypress to show the second fireplace and the roof line. If I would have left the tree as it was, it wouldn’t make sense in the painting. The other trees on the property were also critical because the property owners had planted most of them.